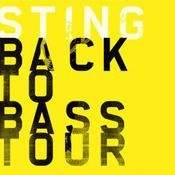 Sting.com Video Exclusive: Check out this exclusive video of Sting and the band preparing for the Back To Bass tour in New York City last weekend. Sting will be joined on the tour by a band including his longtime guitarist Dominic Miller, Rufus Miller (guitarist), Vinnie Colaiuta (drummer), Peter Tickell (electric fiddle), and Jo Lawry (vocalist). For tickets and more information on this intimate concert tour, hitting theaters across North America, visit Sting.com Tour page. Good to see the man at work :-) I think I know that studio... been there to pick up a 14" piccolo for the drummer in my band way back when ;-) I'll be at the Oct 29th gig... oh yeah ! Timeless, baby, timeless! OK, now I can see the video! And did anyone else notice the teleprompter? The lyrics were to "Never Coming Home"! Can't wait to hear that live again! Striking to see how much this is just like any other band rehearsal, standing around talking about what you're doing, waiting, until they start playing and it's some of the best, cleanest, most tuneful music written since the Beatles broke up. We are blessed that Sting keeps himself in front of us, still creating. Love fly on the wall clips like this! hmm anyone else not seeing the video? STING.COM MEMBERS ONLY: We're giving away 2 pairs of tickets for Sting's concert on October 22 at the Wang Theatre in Boston. Enter to win by October 21 at 11AM EDT using the form below…it's that easy! If you are selected, we will notify you by late Friday.